Mass poultry vaccination programmes introduced to combat Salmonella infections have led to a dramatic fall in the number of cases since the late 1990s, according to a researcher at the University of Liverpool. 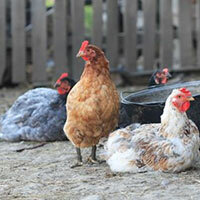 Salmonella are important food-borne pathogens worldwide, causing diarrhoea, vomiting, nausea, fever and abdominal pain. There are currently around 6 million cases of illness from Salmonella across the EU each year, the majority of which are linked to food items such as eggs, chicken, beef, pork, salad vegetables and dairy products. Between 1981 and 1991, the number of salmonella infections rose by 170% in the UK, driven primarily by an epidemic of Salmonella Enteritidis which peaked in 1993. A raft of control measures were introduced into the poultry industry including movement restrictions, compulsory slaughter and disinfection procedures, as well as a voluntary industry-led vaccination scheme that began in breeding flocks in 1994 and in laying flocks in 1998. 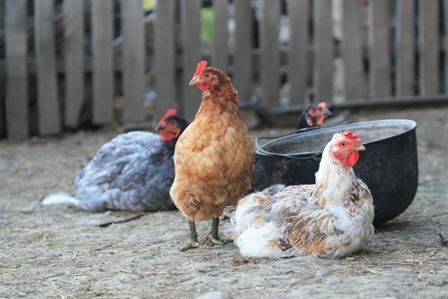 Legislation requiring compulsory slaughter of poultry infected with Salmonella has now been revoked but the mass vaccination of poultry has continued by those breeders subscribing to the Lion Quality Code of Practice and using the Lion Mark on eggs. The code of practice requires mandatory vaccination of all young hens destined to lay Lion eggs against Salmonella, as well as traceability of hens, eggs and feed, a best-before date stamped on shells and hygiene controls at packing stations. Lion eggs now account for around 85% of the total market. 1. Tam CC, Rodrigues LC, Viviani L et al. Longitudinal study of infectious intestinal disease in the UK (IID2 study): incidence in the community and presenting to general practice. Gut 2012; 61(1): 69-77.